Below is a presentation by Scott Williams on injury prevention that I recorded at our NorCal Chapter’s annual pilgrim blessing ceremony on March 18, 2017. Scott “Shroomer” Williams is active in the American Long Distance Hiker Association-West and has thru-hiked the Triple Crown (Pacific Crest Trail, Continental Divide Trail and Appalachian Trail). 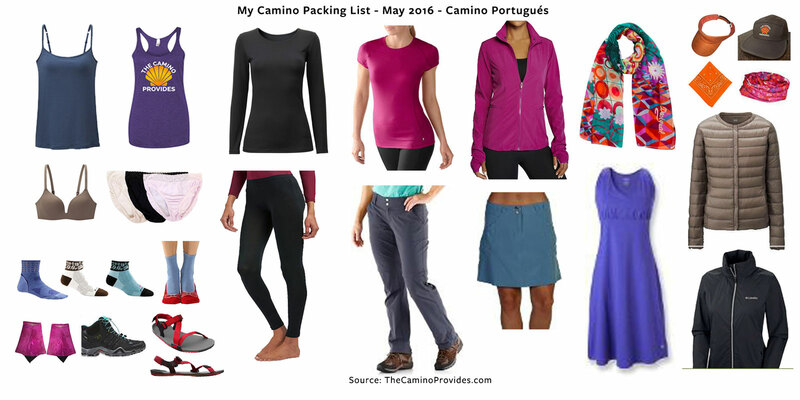 You’ve seen my reviews of the backpack I used and the apparel I wore on my Camino Portugués in late May. This post covers the remaining items from my packing list, that is, gear, accessories, and toiletries. During my Camino planning, I heard a few wise pilgrims say, “The lighter the pack, the better your back.” I chose to pack light not only to spare my back but also to put as little strain on my knees and feet as possible. There’s a well-known rule of thumb for pilgrims according to which the weight of your backpack should not exceed ten percent of your body weight, which means that my pack shouldn’t be heavier than 14 lb (excluding water and snacks). I carefully selected and tested all gear to cull down the list of bare essentials. You can see the result of that selection along with apparel reviews below. I carried an Osprey Sirrus 24 backpack, in which everything fit fine, and there was still a little room to spare. It was only at the end of my Camino that I wished it had more capacity. On my return trip to Lisbon, where I was to catch my flight home, I had to carry the souvenirs I bought in Santiago in a separate bag. Yes, I know. I’m eating my words from my previous review about the said backpack being large enough. And while for the most part it was perfect for my short one-week Camino, it would have been nice to be able to fit those extra items in it. Prior to my Camino, I did a lot of training hikes on the weekends. I also tried to increase the distance of my daily walks to an average of five to six miles per day. But none of this could compare to the real challenge you face when on the Camino, that is, walking twelve-plus miles per day for several consecutive days. The week before I left for Portugal, I walked to work three days in a row. It gave me a chance to test all my Camino gear and a new pair of insoles for my boots as well as to see up close places that I don’t get to see when I commute on a highway. With the help of Google Maps, I found a safe, walkable path, which turned out to be five miles long each way—only a mile longer than my car drive to work. On those three days, I walked alongside the peaceful Lake Temescal and took the time to smell the flowers. I’ve been doing a lot of training hikes in the last few months to prepare for my upcoming Camino, so today begins a new series, Training Tuesdays. This is where the tread meets the trail. To build physical endurance. 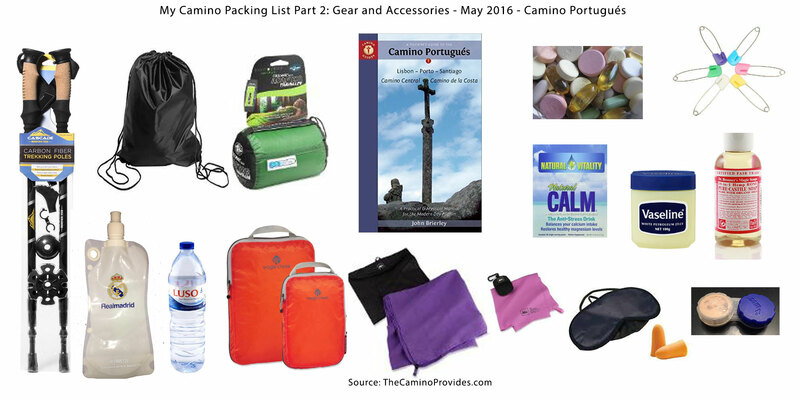 I’ll be walking 10-15 miles a day to cover the last 100 +/- miles of the Camino Portugues. I walk an average of 4-5 miles on a typical weekday, so I’ve added longer hikes on weekends. To test my gear. Backpack, shoes, clothes, and iPhone Apps. By now, most of these items have been fully tested and trail approved. I’m happy with my Sirrus backpack, and reviews for everything else will be shared soon. To learn from others. Throughout this series I’ll share the helpful hints of the wise pilgrims and experienced thru-hikers I’ve had the pleasure of blazing a trail with. To explore Bay Area trails. I’ve lived here all my life and never got around to hiking Mt. Diablo or Mt. Tam, two of the highest peaks in the area. Thanks to the Camino, I’m familiar with these parks and a few more. Oh, how the Camino provides. I have a lot to catch up on, so here’s a hike that I organized with peregrina friend Cathy Seitchik Diaz in January. You may have seen my recent Camino Backpack Trail Test. I have tried many packs from REI over the last few months on my quest for a Camino backpack, but finally found one that is just right! 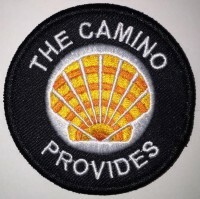 Update, July 2016: It was just right for my short Camino, but read my Backpack Review After the Camino for my thoughts about why I am sizing up for my longer Camino next year. Yes, this is half the size of the REI Traverse, but I won’t need 48 liter capacity on a short (10 day) Camino in late May. 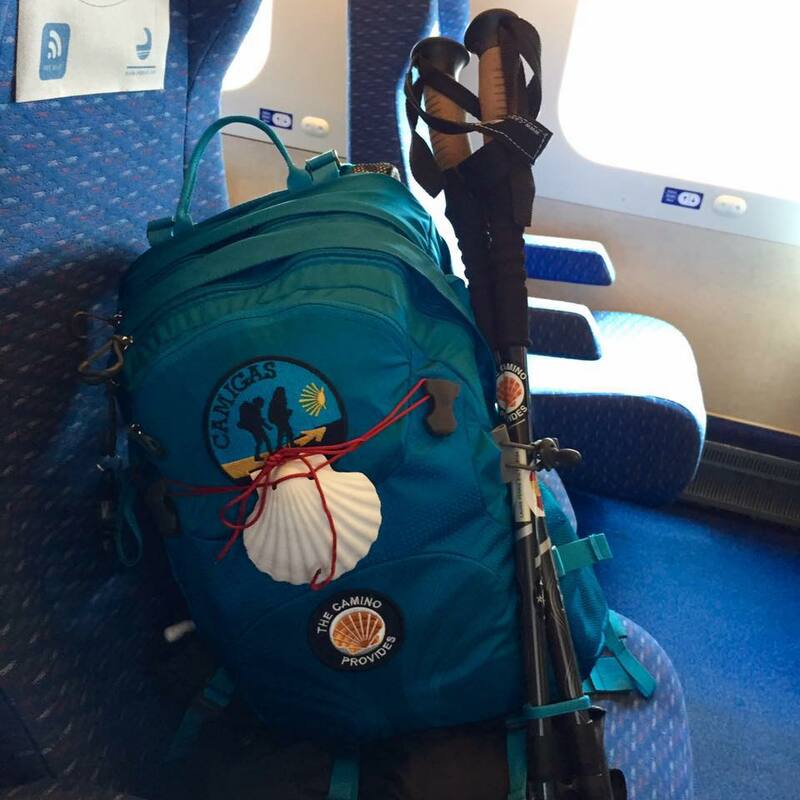 I intend to pack extremely light because the Camino provides all the heavy stuff along the way, such as shelter, a bed, food, water, and plenty of pilgrim resources should I need something. I am refining my packing list and will include that in a “Will it fit?” test later. For now, I want to share what I like about the Osprey Sirrus—for she’s a real beauty with a smart design. 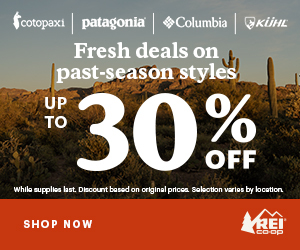 In my quest for a Camino backpack, I recently tried nine different styles at the REI store in Berkeley, CA. In this video, I compare two styles: REI Stoke 29 and REI Traverse 48.